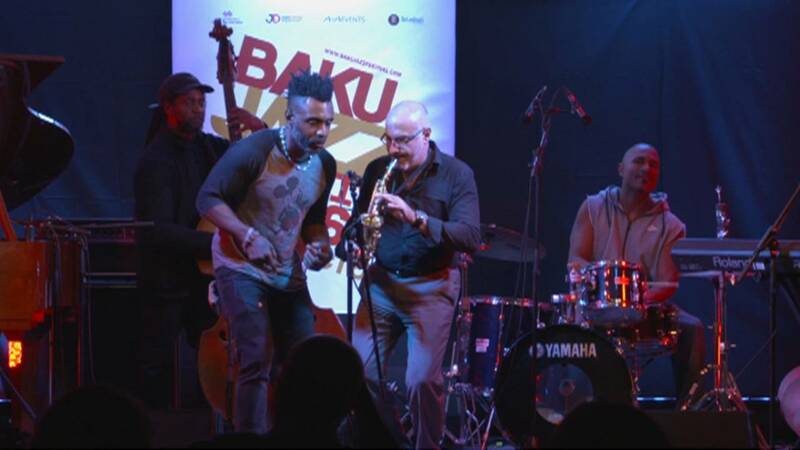 The heart of Baku has been beating to the rhythm of its annual jazz festival. This edition featured more than 60 events spread out over a dozen venues across the Azeri capital, as well as guests from all over the world. Among them was British soul-singer Omar. He has been making music for over three decades, in collaboration with artists ranging from Erykah Badu to Stevie Wonder. “In 2000, he (Stevie Wonder) actually called me up one day and said ‘Yo man! Let’s go to the studio!’ And we wrote a song together called ‘Feeling you’,” said Omar before performing the song to an enthusiastic crowd. The first jazz bands appeared in Baku in the 1930’s, and today it is Rain Sultanov and Isfar Sarabski who carry the torch of musical innovation in Azerbaijan. “We have organised a competition for young musicians, there are also master classes, seminars, there’s a very broad offer this year,” says Sultanov, a saxophonist and the organiser of the festival. ‘Kids Jazz’ is a programme by and for kids aimed at inspiring future generations. Performing on stage to a crowd of children her age was ten-year old Leman Gasimova, who has been playing the saxophone since she was seven. “When I grow up I want to be a musician,” she said with a huge smile after the concert. And every evening, as the sun set, lively jam sessions lit up the stage with artists from all over the world getting to play together into the wee hours of the morning.